Some people have said cash is going to disappear in the next few years. If you actually look at the numbers, though, you’ll see this is far from what’s really going on. Cash is alive and well. The average value of a cash transaction in Canada. Of Canadians worry about the security of non-cash payments. The amount Canadian businesses spent on accepting all forms of payment. More than half of purchases are still paid for with cash. Of Canadians carry cash on them. 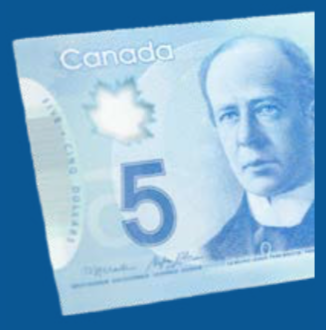 The average amount of cash Canadians carry on them. While there has been plenty of talk about the supposed move to a cashless society, it seems, for now, cash is still king. Cash is indeed still prevalent in many businesses. Yours might be one of them. With the costs of cash mounting and the average value of cash transactions staying low, you might be wondering how you can better manage cash so you can continue accepting it. After all, cash may be how many of your customers want to pay. Cash automation technology is here to help. 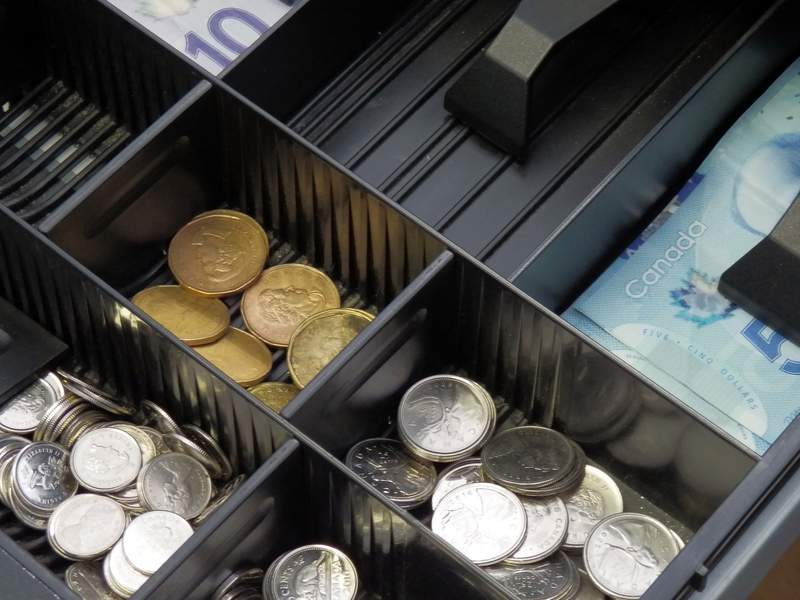 With new machines and advanced capabilities, businesses all across Canada are realizing the benefits of better cash handling and cash management. This comprehensive guide will introduce you to cash automation. You’ll learn what it is and what a complete solution should look like. The effects of poor cash handling will also be illuminated. Finally, you’ll explore the benefits of cash automation solutions and learn how to pick the right provider for your business. 1. What Is Cash Automation? Like other business owners, you’re asking, “What is cash automation?” Cash automation is an essential part of cash handling and management in modern businesses. If you handle cash to any degree in your organization, you could benefit from automating the process. What exactly does it mean to automate cash-related tasks in your business? While automation takes many different forms, it usually involves adopting at least one of several different kinds of machines. 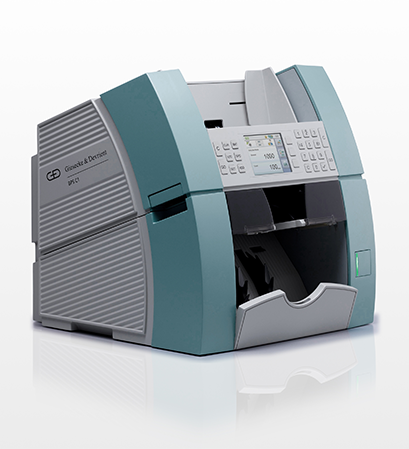 These machines then work in tandem with your policies and processes to improve cash management for your business. Automation centres on the adoption of new technologies. How Do You Automate Cash Management and Handling? Automation centres on the adoption of new technologies. When it comes to automating your cash handling, that means adopting the right cash management technologies. There are quite a few different solutions you can choose. You might be surprised to learn there are solutions for almost every level of cash handling. 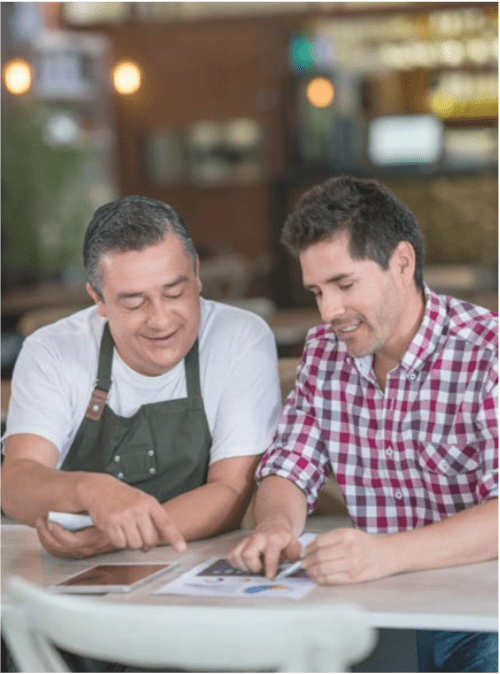 For a small business with limited cash intake, one of the simpler solutions might meet your needs. If your company regularly handles high volumes of cash and needs to both maintain cash counts and dispense cash, a more sophisticated solution might be in order. There are solutions for almost every level of cash handling. One of the simplest solutions available is a cash counter. This machine does exactly what the name implies. It automatically counts cash. 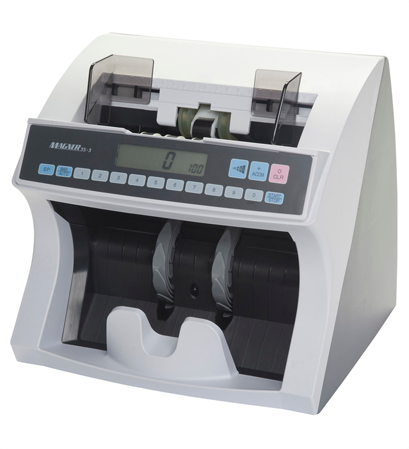 Using this device can help you reduce the time you and your employees spend manually counting cash. It also improves accuracy. 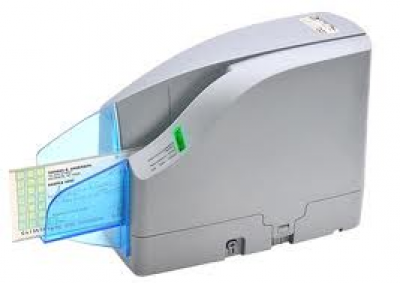 A cash discriminator is a slightly more sophisticated solution for managing your cash. Like the cash counter, it can tally up your cash. In addition, it will sort bank notes and coins for you. Again, this helps you and your team get back some of your time and reduce manual counting and sorting. It can also help you prepare bank deposits. 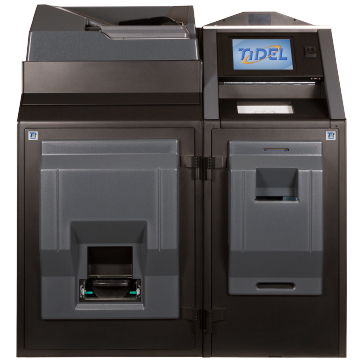 A coin and bank note recycler is one of the most sophisticated solutions you can adopt. It usually works at the point of service, automatically tallying cash as it’s accepted by cashiers. This virtually eliminates the need to count cash manually. It also maintains an audit trail, making it easy to trace back shortages and cashier errors. Preparing cash drawers and tracking tips is a breeze when one of these machines is in use. As the name implies, it also recycles cash: The same money going into the machine comes back out for future transactions. The cash counter, discriminator, and coin and bank note recycler are the key technologies for automating cash handling in any business. That said, they’re not the only components of a complete cash management solution. Once you’ve decided to adopt cash automation, you’ll need to take a look at the policies and procedures you currently have around handling cash. Think about the pre- and post-shift instructions for your cashiers. Cash supervisors may need new guidelines about how to prepare floats and make bank deposits as well. In most cases, cash automation will help you streamline your current procedures. 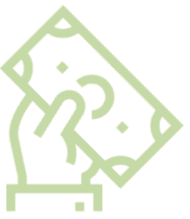 Cash handling can be minimized and cash management can become more effective. Redundant or confusing policies can be simplified or even outright eliminated. Cash automation will help you streamline your current procedures. From this quick overview, it should be clear that cash automation has many benefits for your business, no matter which way you choose to implement it. The rest of this guide will delve into the importance of cash automation and how you can effectively adopt it for your business. 2. How Does Poor Cash Handling Affect Your Bottom Line? The next question you likely have is, why is cash automation so important for your business? After all, you might think you have been getting along just fine so far. Many small business owners don’t realize just how much poor cash handling is actually costing them. The effects on your bottom line can be quite startling when you calculate them. Consider some of the following effects cash management has on your bottom line. How many times per day do your employees handle cash? Add up the minutes or hours, then multiply the number by your employees’ wages. That’s a good start to show how much handling cash is costing your business on a daily basis. Now try multiplying that by the number of days per year your business is open. Chances are cash handling is costing you much more than you think. While five minutes here or there may not seem like much at the time, it adds up over the course of the year. Add this to your visible costs, such as the price of armoured vehicle transport and coin wrappers, as well as the cost of cash handling mistakes, and you’ll see how cash is truly costing your business. What if you could lower those costs? Cash automation is the most straightforward way to lower those costs. By adopting cash management technology, you can reduce the number of times your employees handle cash in a day. You can also minimize the time they spend on cash-related tasks during any given shift, as well as the cost of human error. What if your cashiers could spend five minutes counting cash drawers at the end of a shift instead of 15? That’s 10 minutes per shift you’re saving. If there are six shifts in a day, you’ve saved a total of 60 minutes. At $14 per hour, this is equivalent to about $100 per week—or more than $5,000 each year. Now imagine how much more you can save in the back office. Your cash supervisors and managers might spend hours of their week counting, sorting, and readying cash for deposit. How much do your cost savings grow when you factor in their time? The cost-saving attributes of better cash handling should be apparent from the above examples. There are other ways poor cash handling is costing your business. Most significantly, it could be unnecessarily running up your labour costs. A good portion of the costs of handling cash is associated with labour. The more time your employees spend handling, sorting, and counting cash, the more it costs the business. Cash automation reduces the cost of handling cash by reducing labour costs. Cash automation goes further, though, in helping you reduce overall labour costs. Just how does it accomplish this feat? Think about the example of cashiers who no longer need to spend 15 minutes counting their cash drawers at the end of each shift. Now these employees can spend more time serving customers. Since they’re still on the floor and available to help, you may not need to schedule shift overlaps any longer. Alternatively, you can send them home earlier. The same is true of cash managers and supervisors. They can also be more available to help. You may even need fewer cash room employees overall. In short, cash automation can help you reduce the need for redundant staffing. You need fewer people on the floor because your employees have additional time to do more. The idea that fewer people on the floor can handle more tasks is related to the notion of employee productivity. Poor cash handling in your business is likely bogging down your employees’ ability to complete tasks. Again, you can think about the cashier who has to spend 15 minutes or more tallying their till at the end of their shift. What else could they be doing with their time? They might be able to serve a few more customers. They might also be able to handle other tasks, such as stocking shelves or tidying a storefront. All of this contributes to greater productivity in your workforce. Poor cash handling impedes your employees’ ability to be productive. Increased employee productivity is also linked to increased revenue. Poor cash handling impedes your employees’ ability to be productive. In turn, your business may not be able to grow revenue the way you want to. 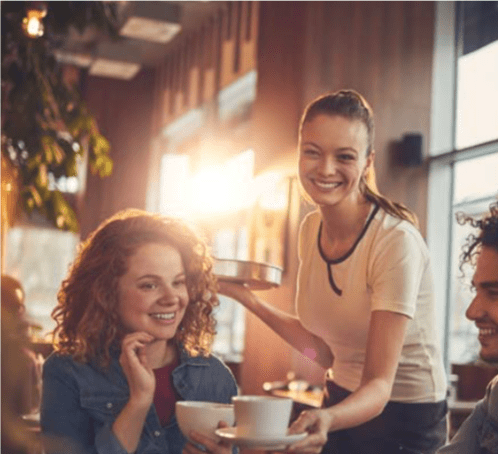 When employees can spend more time focusing on customers, it creates a better customer experience, and it encourages customers to return and buy more. How can you determine whether you have poor cash handling in your business? You can look out for a few of these common cash management challenges. If you’re still counting cash by hand, it’s time to stop. There are simple, affordable solutions available. Counting cash manually often leads to inaccuracies and errors, which leads to wasted time as you try to identify and correct the mistake. On a busy day, you may not be able to pick up from cash drawers as often as you’d like. Even if you are picking up cash regularly or depositing it at the bank, your cashiers might be pulling in large amounts of cash. This makes it easier for problems to occur. Bills might stick together as a cashier makes change, or a bank note might escape from the till. It also poses a security risk. Do your cashiers hop from till to till? On a busy day, it might be necessary in order to keep customers moving quickly. You may also have cashiers relieve each other for breaks. Switching registers makes it more difficult to maintain proper cash handling procedures. It also reduces accountability. There are other mistakes you can look out for as well. All in all, it’s easy to see how poor cash handling can lead to headaches for a business owner like you. Simplifying and improving cash management should be a top priority. 3. Which Industries Benefit from Cash Automation Technology? Will you benefit from cash automation technology? It’s a question many skeptical business owners ask. There are a number of different industries that cash management technology can benefit, and yours may be one of them. Here are a few of the industries that stand to benefit the most. 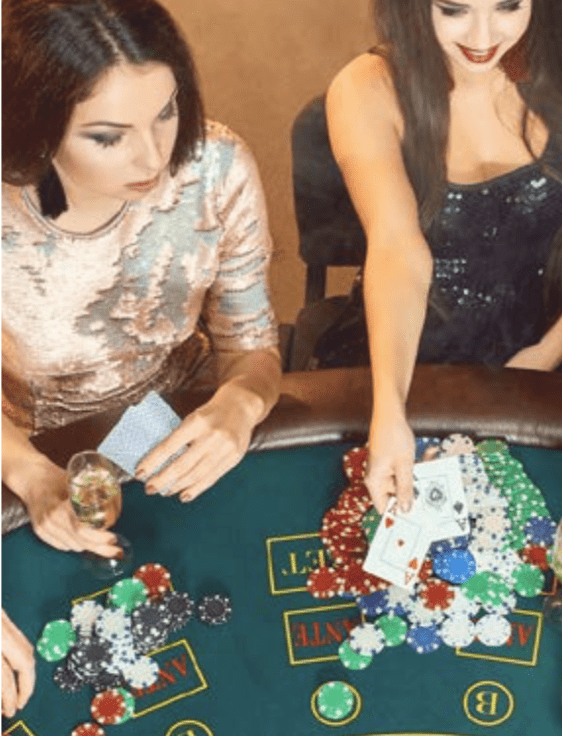 Casinos and other businesses involved in the gaming industry are accustomed to handling large amounts of cash on any given day. It’s the primary reason they’re such great candidates for cash automation. Since casinos often operate more than one front, they can benefit in several different ways. You might want to adopt a sophisticated cash management solution for your soft count room. If you have a restaurant or gift shop as well, you can also employ cash automation technology there. Since there’s so much cash handling happening in this kind of business, it stands to reason even a small improvement in the way you handle cash could translate into big benefits. If you had to name one type of business that would benefit from cash automation technology, you would likely point to retailers. Retail businesses tend to deal with cash transactions on a regular basis. Since cash is still how Canadians prefer to pay for goods, it only makes sense that your retail business must manage cash. Canadians also prefer to pay for small transactions with cash, so if you run a convenience store or a grocery store, you’ll likely handle a fair amount of cash on a daily basis. Retail is also a tough business with razor-thin margins. Any improvement to efficiency and overhead costs is welcome by retailers. Cash automation can help you reduce your labour costs and the associated costs of handling cash in the business. In short, it can help you curb expenditures and boost the bottom line. The entertainment industry is expansive, including movie theatres, amusement parks, zoos, and museums. There are many more. These kinds of businesses thrive on cash, which makes cash handling a top priority for them. 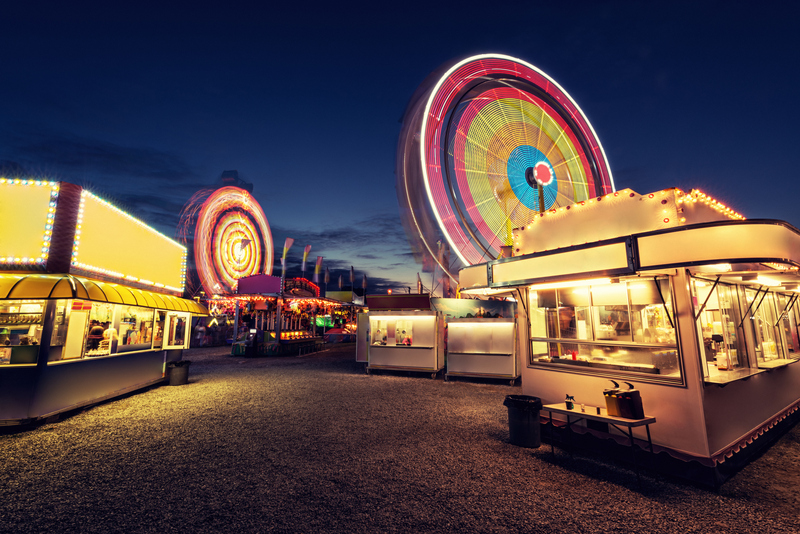 Tourist attractions like museums and amusement parks often handle cash transactions, because tourists often prefer to pay with cash. Small transactions for food and drinks at venues like concert halls and comedy clubs are usually cash-based. Even admission fees may be paid in cash, particularly if they’re under $25 per person. Some of these businesses may even have a cash-only structure, which means cash handling is the only option. While mobile payments are making it easier to accept other types of payment options, many customers and business owners still prefer cash. 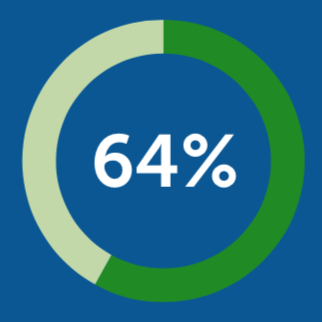 Many customers and business owners still prefer cash. The importance of good cash management should be clear. 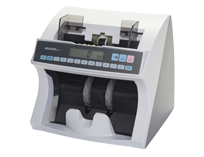 Cash management technology like currency counters and sorters can be affordable, portable solutions. Coin and bank note recyclers are almost integral for operations like movie theatres. These aren’t the only industries that will see the benefits of cash automation. Banks, for example, can benefit from coin and bank note sorters as much as the next business. Almost any business can stand to benefit from modern cash automation technology. Since cash isn’t likely to disappear any time soon, you can rest assured that investing in cash automation will be a good business decision for some time to come. Poor cash handling is probably costing your business more than you’ve realized. Just what can a cash management solution do for your business? 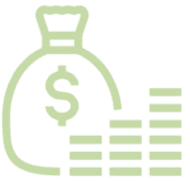 Of course, reducing the costs of handling cash is one of the major benefits. Other benefits include improved efficiency and heightened productivity. You can increase revenue, customer satisfaction, and even employee engagement. You can increase revenue, customer satisfaction, and even employee engagement. All three of those elements are key to a growing business. 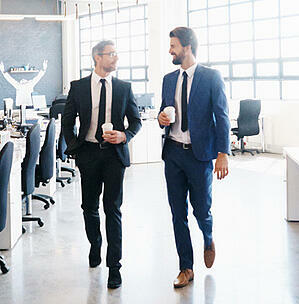 Here are a few of the ways cash management solutions can increase efficiency in your business. The most obvious way cash automation improves efficiency is by limiting or eliminating manual cash handling in the business altogether. As discussed earlier, manual cash handling increases the costs of handling cash in the business exponentially. By incorporating technology, you can reduce the amount of manual cash handling your employees do on a daily basis. Maybe your cashiers stop counting their tills, or maybe your cash managers don’t need to spend as much time counting and sorting cash. Maybe managing floats and dividing tips is more streamlined and easier to manage. This frees up your employees’ time. They can complete more cash-handling tasks in a shorter amount of time. Since cash automation technology is more accurate than any human could ever be, you’ll also save time by reducing the number of errors made when handling cash. Tallying up cash by hand is more likely to lead to human error, which can then be time intensive to sort out. Machines don’t make these same mistakes, which means you can spend less time trying to figure out where something went wrong. Instead, you can get back to other tasks. Again, this helps reduce the associated costs of handling cash. How good is your record-keeping? If you’re still managing all cash-related tasks by hand, you might not be creating the audit trail you know you need to keep. Cash automation technology can help you keep better records with minimal effort. Better records make it easier for you to keep track of how much cash you’re handling in the business. It also improves oversight and your ability to make informed decisions about your investment in cash handling, time spent on cash management, and banking functions. Cash automation technology also makes it easier to prepare deposits. Since some machines count and sort cash automatically, the deposit can be prepared instantly. You can also get a tally of how many of each bank note denomination you have, which makes the deposit simpler to process at the bank. It’s also easier to manage how much cash you keep on hand. As discussed above, cash automation doesn’t just mean your employees can complete their cash management tasks sooner. It also means they can accomplish other tasks on their to-do lists, some of which may otherwise go by the wayside. 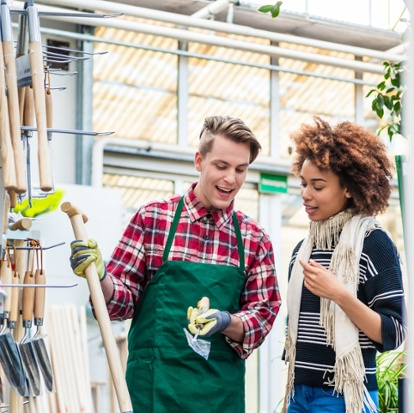 This could mean your employees have more time to deliver better customer service or take care of tasks like tidying up or checking inventory. New products could hit the shelves sooner. The possibilities for improving employee productivity are almost endless. Employee productivity is tied to higher revenue for a business. Employee productivity is also tied to higher revenue for a business. 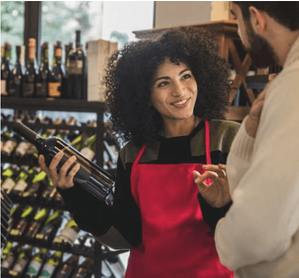 The extra time your employees spend putting new products on the shelves could mean customers find more of what they’re looking for. Good customer service and tidy shelves encourage customers to come back. With the right technology, you can remove redundancies in cash management. Take, for example, having a second count conducted on each till. If you count cash manually, you may feel this is necessary. After all, people make mistakes. Machines, on the other hand, are much less likely to make a mistake, which improves overall accuracy. Instead of having mandatory second checks, you could switch to spot checks. Machines can and do malfunction from time to time, so you don’t want to rely on them alone. Your previous policy, however, is now outdated. It’s slow and redundant, and you can speed things up by revising it. For those who accept coupons, tokens, or other forms of non-cash payments, there’s good news. Some cash management solutions can even process these items. Your count room or cash office just got even more efficient. By adopting cash management technology that allows you to process non-cash items such as checks as well as cash, you can speed up payment handling even more. One of the other advantages of cash automation in a business is improved cash flow. You will have far more control over how much cash you have on hand at any point in time. A coin and bank note recycler, for example, can reduce the number of times you go to the bank to deposit cash or to withdraw small bills and coins to make change. It should be clear that cash automation and good cash management policies offer plenty of benefits for the businesses that adopt them. Your organization can achieve greater efficiency, improved accuracy, reduced costs, and so much more just by adopting a cash management solution. 5. What’s Included in a Complete Cash Automation Solution? Now you’re wondering how exactly one goes about getting a complete cash automation solution for a business. The first step will be to survey your business’s needs. Once you’ve done that, it will be easier to compare your needs to what’s included in a complete cash automation solution. What should you look for when you adopt an automation solution for cash management in your business? There are a few must-haves you should be on the lookout for. The first thing that should be included in any cash automation solution is the cash handling equipment itself. After all, the machines are the muscle behind your automation efforts. A provider offering complete solutions should have a selection of different types of cash handling equipment. They should also have a few different models available at different price points. Different types of machines handle different tasks, but different models may have different capabilities. There are at least four core types of machines you should be considering. These machines sort bank notes and coins for you. In most cases, they can count currency as well. Some models may have greater capabilities, such as sorting foreign bank notes or creating reports. These machines count bank notes or coins. They don’t have a sorting capability, so you’ll have to sort and separate denominations before inserting them into the machine. Any business owner knows the risks that come with handling cash. Counterfeits may sneak their way into your cash supply. Using counterfeit detectors can help you minimize losses. If your business still accepts checks as a form of payment, then you’ll want to invest in a check scanner as part of your solution. These devices scan checks. They come with features like handwriting recognition, and they can validate the information. They also conduct remote deposits. 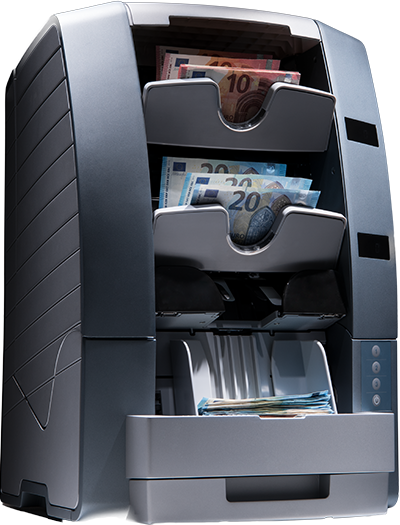 A smart safe is another device your cash management solution provider should have on offer. Smart safes provide additional security and accountability, and they’re a great investment if you’re storing any amount of cash on site. The safe can record how much is being stored at any time. It also records how many times it’s accessed, making it easier to trace entries. 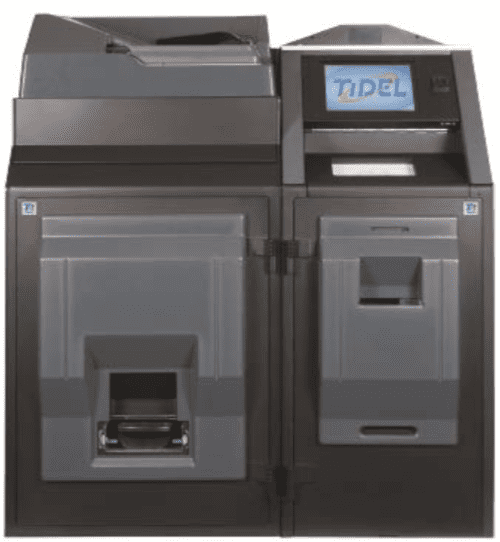 If your business needs more automation support than a cash counter or sorter, you’ll likely want to consider coin and bank note recyclers. Your provider should have recyclers on offer, and for many businesses, they’re key to a complete cash automation solution. The coin and bank note recycler does everything the cash counter and sorter can do. Then it does even more. This machine is usually installed at the point of service, such as the register. 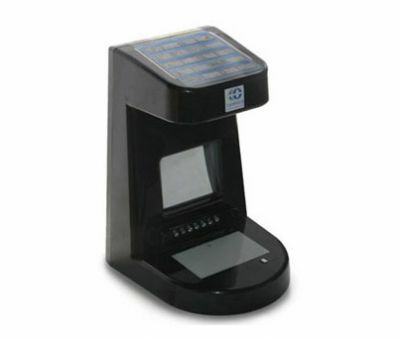 As your cashiers complete transactions, this device tallies the cash coming in and cash going out. It then makes cash automatically available for dispensing during the next transaction. The recycler solves numerous problems for businesses. For one, it reduces the need to prepare and manage floats. It also eliminates some of the issues with switching tills, which were noted above. It prepares the audit trail, and it stores your cash securely. The coin and bank note recycler also makes it easier to track and divvy up tips in a restaurant. Finally, it can eliminate the need for your cashiers to spend any part of their shift counting tills, and it can reduce the need for pickups from the till throughout the day. The coin and bank note recycler does everything the cash counter and sorter can do. Then it does even more. What do you need to keep cash automation rolling? Machines can roll up coins and bundle bank notes for deposit, but you’ll need supplies to make it happen. 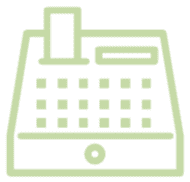 Your cash handling equipment might need paper and ink to print reports. Your solution provider should have supplies available. Your complete solution should include some terms about supplies as well. For example, a service-level agreement might state you’ll receive so many sleeves or wrappers and so many rolls of paper. You might also receive a discounted price on supplies. One of the realities of adopting any kind of equipment for your business is that it will eventually need maintenance or repairs. This can be as simple as cleaning the machine on a regular basis, or it may mean ordering replacement parts and calling a repair service to have them installed. It could also mean sending the machine out for repairs. Your solution provider should include these services in your agreement. You should estimate you’ll need to repair and maintain the machine over the course of its life. In best-case scenarios, good maintenance will keep your cash handling equipment functioning longer. Consider it a way to protect your investment in cash automation. This need for ongoing maintenance and repairs makes it imperative to choose the right partner. While you don’t want it to happen, you can safely assume a machine will malfunction or break at some point during its life. Your partner provider should be ready for this. A provider with extensive service capabilities and a warehouse of parts is going to be able to provide better maintenance, which is significantly better than a partner who has to send everything out of house. Just like you can expect to need to repair cash handling devices at some point, you can also make the assumption you’ll need advice and support as well. In fact, most business owners and their staff need excellent support right from the get-go. Implementing a new cash automation solution requires planning. You’ll need a great implementation strategy, training and education, and ongoing support. 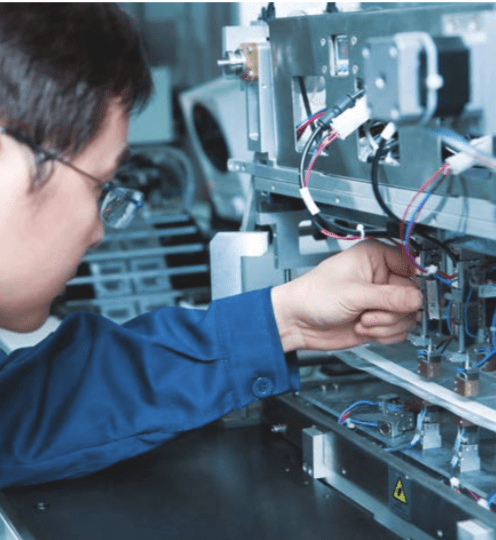 Training and education will help you use the machines correctly, while ongoing support can help you troubleshoot if a device starts to malfunction. Your partner provider should be able to provide excellent customer service and support as part of your cash automation solution. As you search for a provider, be sure to measure the customer service you receive. A vendor who can’t provide great customer service to prospective clients probably won’t do much better once you’ve signed on the dotted line. All of these factors are essential in a complete cash automation solution. You could simply purchase the equipment, but the complete solution offers you the support you need to make the most of cash automation in your business for a long time to come. How do you go about finding a cash automation solution for your business? You’ll need to evaluate your business’s needs. Then you’ll need to do some research. Finally, you’ll get in touch with providers and find the right fit. Now that you know what you’re looking for in your complete cash automation solution, it’s time to choose a provider. It’s important to remember that not all cash management technology providers are created equal. What should you look for? These tips will help you narrow the field and choose the right provider for your business. Not all cash management technology providers are created equal. A business owner must assess organizational needs before anything else. If you don’t know what you need, how can you make sure you’re choosing the right solution with the right capabilities and features? 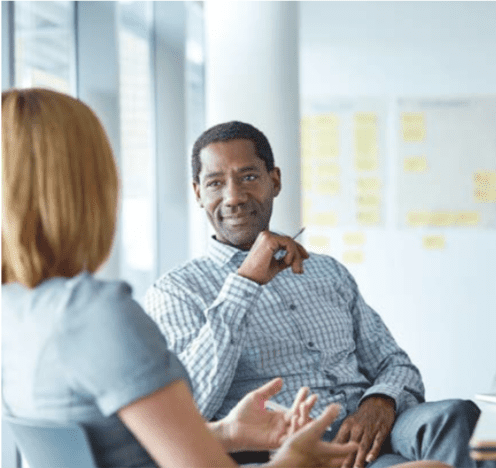 How can you determine whether the solution will help you solve your unique cash-handling challenges or help you meet your goals? Take a few minutes and explore the cash handling situation in your business. On average, how many cash transactions do you process in a day? How much cash do you typically keep on hand? You’ll also want to consider other factors, such as labour costs, average cash losses, and more. If you accept non-cash payments, that need will determine which devices you should zero in on. That might then narrow your choice of providers. Once you’ve assessed your cash management situation, you’ll want to look at what you need. Would it be great to use a coin and bank note recycler? It may be, but perhaps your business doesn’t handle enough cash to warrant this solution. It’s a “nice to have,” not a must-have. The next step is researching providers. You’ll want to narrow the field by ensuring you select providers who offer your preferred solutions. If you’re looking for smart safes and a provider doesn’t offer them, you can rule out that vendor quickly. Many providers will offer similar products, so the next step is differentiating them by their service offerings. 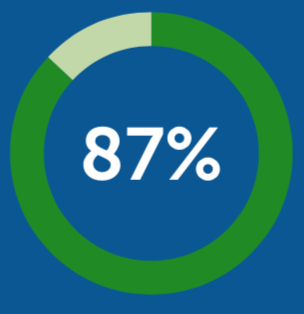 Which providers offer ongoing maintenance and in-house repair? Who simply supplies the devices and leaves you to contend with them on your own? Compare a number of different resources. Customer reviews, provider websites, and review articles can all be useful. If you can talk to current or former customers, do so. Before you start contacting potential partners, make sure you’ve set a budget. This will help you accurately assess the quotes you receive. If you’re not sure what your budget should be, you can conduct research on how much any solution costs. You may start asking for initial quotes from a variety of providers to get a better idea of the market. Once you have a budget in hand, ask your preferred providers for quotes. Ask them to provide a quote on a “bare-bones” solution that will satisfy your firm’s needs. Then ask for a quote that fulfills all your nice-to-haves, too. Compare the quotes. Remember to evaluate for value, rather than price alone. The best provider may be a little more expensive, but their service may be more comprehensive. Another reason you’ll want to contact various providers and get quotes is to compare their customer service. Who responds to you quickly? 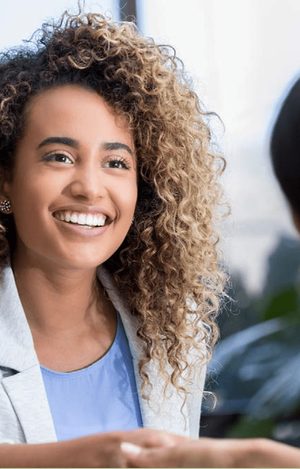 If you’re not receiving excellent customer service right from the start, chances are you won’t receive best-in-class service once you’ve signed a contract either. Good customer service is responsive. Good customer service is responsive. 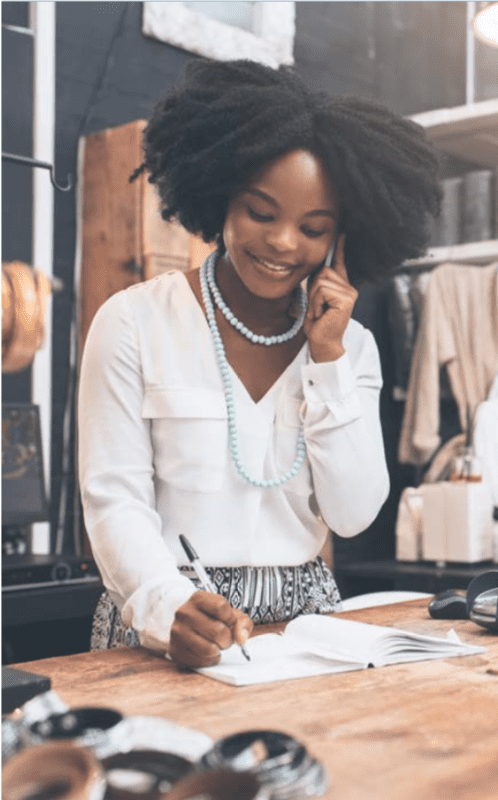 Any provider you choose should be knowledgeable, and they should be ready and willing to help you craft a customized cash management solution for your business. Be sure to ask questions at this stage. As you continue to narrow down the field to just a few contenders, you may ask to see contracts. Go over the fine print of any agreement carefully before you sign on the dotted line. Some providers may try to hide fees in their contracts, while others may try to lock you in with no way out for long periods. The best providers will be upfront and honest about their terms, so you always know what you’re getting. Once you’ve done all of the above, there should be a clear choice in front of you. If you’re still having trouble deciding, you may want to do more research or interview the providers again. You can’t be too careful about selecting your cash management technology provider. After all, you want them to be a trusted partner for years to come. Taking your time and making the right choice now could save you time, frustration, and money in the end. Once you’ve signed with a cash management technology provider, you’ll want to keep an eye on their performance. Measure customer service and other performance metrics. Switching providers is something you want to avoid, and you should be able to do so if you’ve done your research and made a careful selection. That said, business owners and decision-makers sometimes stumble. A provider you thought was worth their weight in gold may not be. That’s why it’s important to keep an eye on the service you receive. If it’s not meeting expectations, then it may be time to go back to the drawing board. Cash automation technology has clear advantages for businesses in any number of industries. If you handle cash transactions, chances are you stand to benefit from adopting cash management technology. Developing a strategy for adopting cash automation and carefully selecting the right provider will help you achieve better cash management in your business. In turn, you can realize higher revenue, increase productivity, reduce labour costs, and more. With the right partner on board, adopting cash automation technology can be a smooth process throughout the entire lifecycle. If you’re ready to improve how you handle cash, let CashTech Currency lead the way. Let CashTech Currency help as you face your toughest cash management challenges, so you can keep your business growing.